SANTA ANA – A father faces trial Monday for the murder of a Santa Ana man after becoming angry over a physical altercation that occurred one month prior between his daughter and the victim. 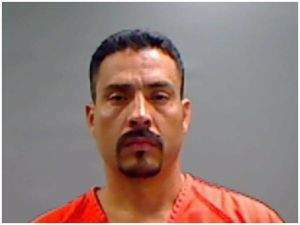 Cesar Gerardo Marta, 41, Omaha, NE, is charged with one felony count of murder and has a 1993 prior strike conviction for robbery. If convicted, he faces a maximum sentence of 55 years to life in state prison. Opening statements are expected to begin Monday, June 24, 2013, at 3:00 p.m. in Department C-41, Central Justice Center, Santa Ana. At approximately 10:00 p.m. on May 26, 2010, 27-year-old Cesar “Danny” Gutierrez Hernandez left his Santa Ana home with his brother and a friend to give the friend a ride home. As the three men walked toward their car, Marta and an unknown accomplice are accused of approaching the group and asking if one of them was Danny. The defendant is accused of seeking out Hernandez with the intention of retaliating against him for a physical altercation between the victim and Marta’s daughter one month earlier. Upon identifying Hernandez as the man he was seeking, Marta is accused of punching the victim in the face and knocking him to the ground. Marta is accused of continuing to assault Hernandez while his unknown accomplice used a knife to hold the other two victims back. The unknown accomplice is accused of then stabbing Hernandez while Marta hit and kicked him. Marta and his accomplice are accused of fleeing the scene when members of Hernandez’s family went out of the house upon hearing the commotion. Witnesses called 911 and officers from the Santa Ana Police Department (SAPD) arrived at the scene. Hernandez was transported to the hospital, where he was pronounced dead. SAPD investigated this case and determined that Marta was a resident of Nebraska who was in California visiting family on May 26, 2010. At the time that Marta was identified in this case, he was already in custody in Iowa on a federal immigration case. He was extradited to Orange County from Council Bluffs, Iowa, on March 10, 2011. Anyone with additional information regarding the identity and/or whereabouts of the unknown accomplice in this case is asked to contact Supervising District Attorney Investigator Randy Litwin at (714) 347-8492.